For editing projects, I work in Word on two gargantuan computer screens. The upside: I can have many documents open at once, while feeling a little like an air-traffic controller. The downside: I’m a terrible air-traffic controller. With two big screens, it often takes a lot of mousing to get my cursor to its destination. While in Word, I am always looking for ways to reduce the amount of searching, clicking, and mousing that I do. Word’s Quick Access toolbar (QAT) — a sort of customized instrumentation panel for the writer or editor — can help with that. When you open Word, you’ll find the QAT in the top left corner of your screen. Look for the Save, Undo, and Redo buttons. They are on the QAT. Not convinced of the utility of the QAT? Try this: count the clicks you have to make to find each of the above listed items in the ribbon. Multiply those clicks by the number of times you execute those commands each day. Aha! How to I set up my QAT? Your QAT doesn’t have to look like mine. To add the features that you use most often, go to File, Options, Quick Access Toolbar to select the commands that you want displayed on your QAT. Click on the down-arrow to the right of the QAT. Select Show Below the Ribbon. Word’s QAT will save you time, clicks, and potential injury from too many repetitive wrist movements. Those seconds and moves add up! Do you use the QAT? What do you have on on your QAT? If you use a Mac, how do you add command buto to your QAT? This post first appeared on June 17, 2015 at The Book Designer and on July 15, 2015 at Beyond Paper Editing. Let’s look at each of these self-editing approaches. You may be exhausted from your first-draft efforts. Setting your writing aside for a spell may give you the time you need to recharge and become excited about your book project again. It may also afford you the perspective you need to see where your writing needs fixing. This approach to self-editing is most effective if there aren’t time constraints, and if you’re able to see what needs improving. The remaining items on the list above are different from the first item in one important way: they offer feedback on your writing from an external source — from someone, or something, other than you. Because it’s difficult to be objective about your own writing, external feedback can alert you to your writing blind spots. Not everyone responds well to feedback from beta readers and editors. Writers need to be able to develop resilience for receiving feedback, but this takes time and practice. If you’re still working on developing your resilience, we have another “external” self-editing option for you: editing tools. 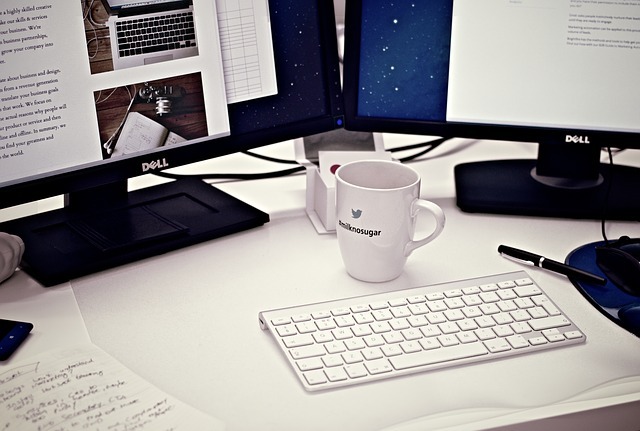 Many editors use automated editing tools to efficiently find problems in a piece of writing. If writers want to learn how these tools work, they can use them to diagnose their own writing! Below is a list of some our favourite editing tools, linked to articles that describe how to use them. We’ve organized them into the four levels of editing that every manuscript should go through. Not all tools are diagnostic and automated. * Some of them, such as the paragraph-level and big-picture tools, will help you when it’s time to fix your writing. We’ve selected tools that we think will be most helpful to writers, but there are many more tools that you can explore and try. *Diagnostic tools: these tools will check for one or more potential writing problems with the click of a button. +Fixing tools: these tools will help you fix writing problems, once they are identified. As far as we know, there aren’t automated diagnostic tools that will point out paragraph-level and big-picture problems. At least not yet. For now, you’ll need to educate yourself about common paragraph-level and big-picture problems, or get some direction from beta readers and editors. You can use the paragraph-level and big-picture tools in the table above to efficiently fix problems, once you know what they are. They aren’t people, which means that writers probably won’t respond to feedback emotionally, or take feedback personally. A tool also won’t roll its eyes because you’ve forgotten to close quotations and parentheses 54 times in a 300-page book. It’ll point out these errors, without judgment. And we could all use a little less judgement. If you consider what these tools are telling you about your writing, you will sharpen your self-editing skills. You can use diagnostic editing tools five minutes after you’ve typed the period on the last sentence of your first draft. This makes editing tools brilliant for on-demand writing. If you plan to use tools for self-editing, and later decide to hire an editor, your editor may have less to do, and that can save on editing costs. Can these tools help you to become a better writer? We’re still gathering data on that. From what we’ve seen — with authors who’ve been willing to act on the information suggested by diagnostic editing tools — it does seem possible. For example, if a tool suggests that you’ve included needless words in your writing, after deleting 103 needless words in the first 50 pages of your manuscript, there’s a good chance that you’ll include fewer of them in your writing in future! An editing tool can alert you to potential problems with your writing. You need to decide when to address a highlighted instance and when to ignore it. But does that mean you need to excise every adverb in sight? No. Depending on what you’re writing, you may choose to sprinkle adverbs as you would expensive fleur de sel. Editing tools are not designed to fix your writing for you. They identify problems, or help you fix problems efficiently. You have to do the heavy lifting. For example, if your tool has highlighted a sentence that’s too long, you will need to divide that unwieldy beast into two shorter sentences. Your tool won’t do that for you. If a solution to a writing problem isn’t obvious to you, you may need to dig around in writing craft books or style guides for help with interpreting what a tool is telling you. Consider the example below. PerfectIt Pro 3 is asking the author to check the use of a hyphen in this instance. Has the author used the hyphen correctly? Looking things up isn’t a waste of your time. The more you know why something might need fixing, the more you'll know about writing. If you let them, editing tools will show you where you quirks are, teach you what to pay attention to, and inspire (or provoke) you to make adjustments. Remember to begin with big-picture editing fixes and work your way down to word-level fixes. Editing order matters. Run diagnostic tools, one chapter at a time, until you become familiar with how these tools work. Exceptions: Run Consistency Checker and PerfectIt Pro on your entire book. Why? They’re designed to check for consistency across an entire manuscript. Run one tool at a time. Don’t run several tools at once. You’ll have too many things to pay attention to. The key is to remain focused and to improve your writing by degrees. Be strategic. 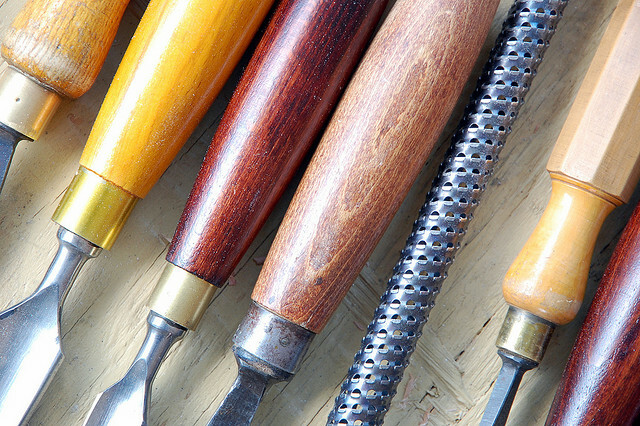 You don’t need to run every tool on your writing, every time. Once you’re familiar with the tools we recommend, you’ll know which ones best address your most persistent writing quirks. Consult editing books for solutions to the writing problems your tools uncover. Editing tools can help you to become aware of your writing blind spots and sharpen your self-editing skills. They may even help you become better at writing. Note: We used the Hemingway app and PerfectIt Pro 3 to edit this article. Posted on March 9, 2018 March 10, 2018 Categories Editing, Macros, Scrivener, WordTags Consistency Checker, editing tools, Hemingway app, macros, Microsoft Word, PerfectIt, Scrivener, self-editing tools2 Comments on Can Using Editing Tools Improve Your Writing? Do you have an online home? You really should. Recently, a managing editor contacted me to see if I was interested in doing some work for his publisher. The timing wasn’t great for me, but I didn’t want to leave the publisher high and dry. With the managing editor's permission, I contacted my editing group and asked interested editors to contact me. I got seven email responses in the first hour. When I make a referral, I want to know something about the person I’m referring, but I couldn’t find out anything about these editors other than what they told me in their email messages. They didn’t appear to have online homes. I get it. Setting up a website and keeping up with social media is a lot of work. But may I suggest that you do one small thing? 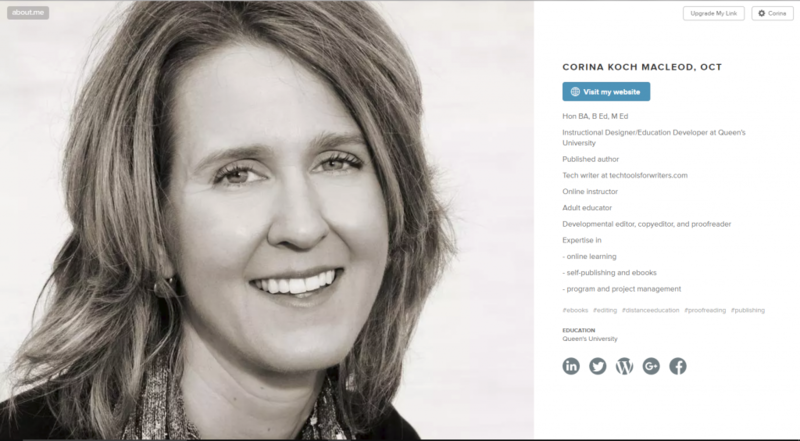 Set up an About.me page. I learned about this site through personal branding expert Sidneyeve Matrix. If you’re providing services, or you have something to sell, you don’t need to buy an online mansion. You can take up residence in a tiny online yurt. One of the easiest ways to improve your writing is to "omit needless words"—words that once removed, make your writing clear (Strunk & White). 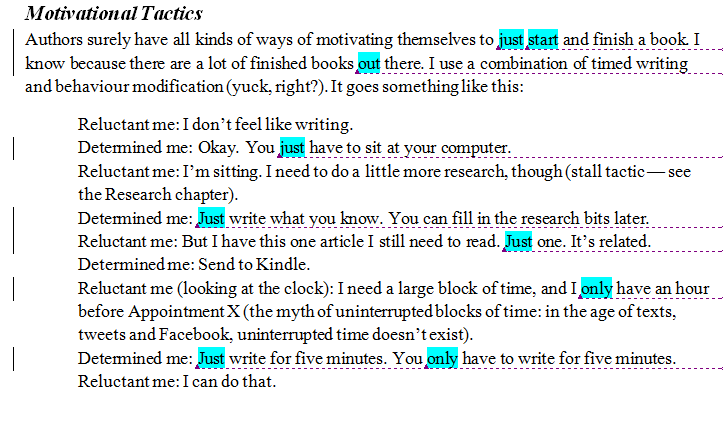 The fastest way to find these words in your writing is to run the Needless Words macro* in Microsoft Word. This macro will highlight every needless word, so you can decide if each word is necessary. Not sure what a macro is? See Improve Your Writing with Macros for details. Below is the script for the macro. You'll need to add this script to Word's Visual Basic Application (VBA). 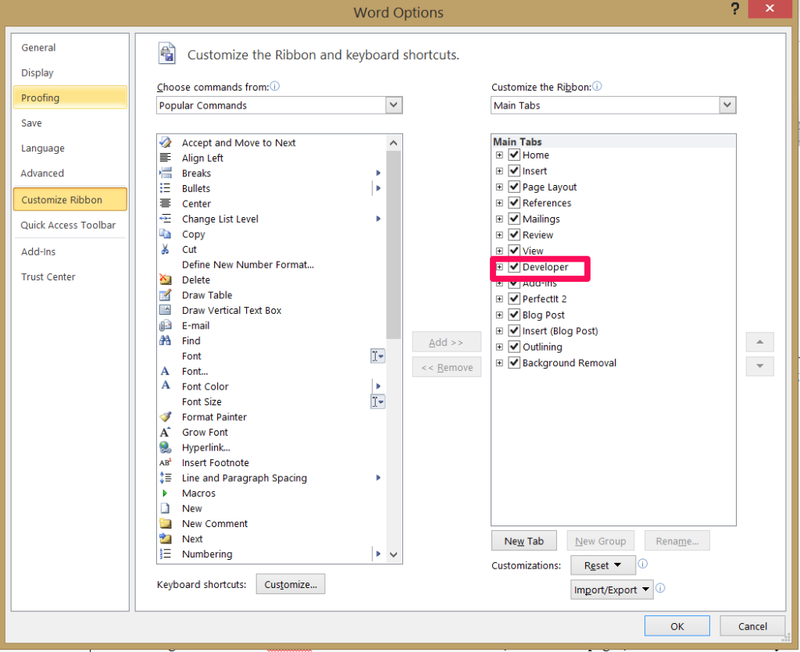 See the videos How to Add a Macro to Word, then How to Run a Macro in Word for next steps. Inspired by Jami Gold's macros for writers post, I've added Janice Hardy's Words to Avoid list (minus the word "that") to my version of the macro. The macro is customizable and you can add any list of words you like. Copy the macro from Sub to End Sub and paste it into Word's VBA. What other word lists could you add to this macro? Insert word lists between the parentheses in the macro script. So, what do you do with the highlighted words this macro finds? See Carla Douglas' post How to Improve Your Writing with Macros—Tips for Beginners at the Beyond Paper Editing blog for suggestions. *Karen Woodward calls this macro the AddWords macro because you can add any list of words that you want the macro to find. The first version of this macro was written by Roger Mortis, revised by Subcortical, modified for writing by Karen Woodward, tweaked by Jami Gold, and further tweaked by me, making it a true community effort. Go to the View tab, and click on Macros in the Window area. Name your macro in the Macro name: box. Be sure your name has no spaces between words. For example, NeedlessWords. Click Create. You will now be taken to Word's VBA editor. This is where Word stores macros. Copy the macro script and paste it into Word's VBA. It will show you where to paste your macro (look for the section that has the same name as the macro you just named). Delete all the text that's there (everything from Sub to End Sub) and paste your macro script into the VBA editor. Close Word's VBA editor by going to File, Close and Return to Microsoft Word. Your macro will be saved and you can now use it with any Word document. Next step: How to Run a Macro in Word. For further instructions on how to use macros, see Macros for Editors, in which Paul Beverley offers detailed instructions for understanding and running macros in various versions of Word. There is a lot you can do to improve your writing. Some improvement tasks will take you hours to accomplish, but some of them can be quick and easy with the help of macros. Macros are tiny programs that can handle repetitive and finicky fix-up tasks that would otherwise take loads of time. Word processing programs like Microsoft Word have the ability to run macros. Where do you find macros? You can write your own macros, but it's often easiest to find and tweak existing ones. Paul Beverley's free book, Macros for Editors contains hundreds of macros for writing and editing tasks. At the beginning of his book, Beverley offers detailed instructions for understanding and using macros in various versions of Word. He also explains what each macro does. You can copy the macro scripts from the file that accompanies the book of instructions and add them to Microsoft Word. Because two of the macros above highlight text, once you've addressed those highlights, you'll want to remove them from your file in one fell swoop. HighlightAllOff does the trick. You can use his UnHighlight to remove highlights selectively. highlight_targets—highlights words that can clutter your writing, like the weak words "very" and "that"; you can customize the macro by adding other lists of words, too. The macros above allow you to consider why you've used certain words in your writing. Addressing needless words and telling words can help you tighten your prose and keep your reader engaged in your story. And finally, author and editor Ryan Macklin has designed a macro to detect the passive voice in your writing. While a bit of passive voice is alright, too much can make your text more challenging to read. Macros can help you to see and catch potential problems that you'd otherwise miss in your writing. Do you have a favourite writing macro? If you have a fresh install of Word, you may have trouble adding or running macros*. Here's how to sort that. *Macros are tiny programs that can make writing and editing tasks more efficient and accurate. Some macros can help you to see things in your writing that you wouldn’t otherwise see. If you're a Mac user, see this tutorial for enabling macros in Word 2011. Word doesn’t automatically allow macros to work their magic with a fresh install. You need to adjust some settings in Word before that can happen. To begin with, you need to give Word permission to enable macros. To do so, go to File, Options, Trust Center, Trust Center Settings button (bottom right), Macro setting (left) and uncheck all options except for Enable all macros and Trust access to the VBA object project model. The last two options need to be checked. Click OK.
By default, Word’s Developer tab doesn’t show with a fresh install, either. I like to have this tab visible because it’s another place where you can create and run macros. To reveal the Developer tab, go to File, Options, Customize Ribbon, and check the box next to Developer in the Main tab area. Click OK.
You’re now set to create and run macros. You’ll find many helpful writing macros on this blog. Go ahead and give them a try! This free 20-minute Macro Course will get you started. Go to the View tab, and click on Macros in the Window area. Select a macro from the list and click on Run. The macro will work its magic on your document. If someone is paying you for writing or editing, you’re running a business. You’ll need to keep track of your income and expenses, not just for tax purposes, but so you can make smart and timely business decisions. 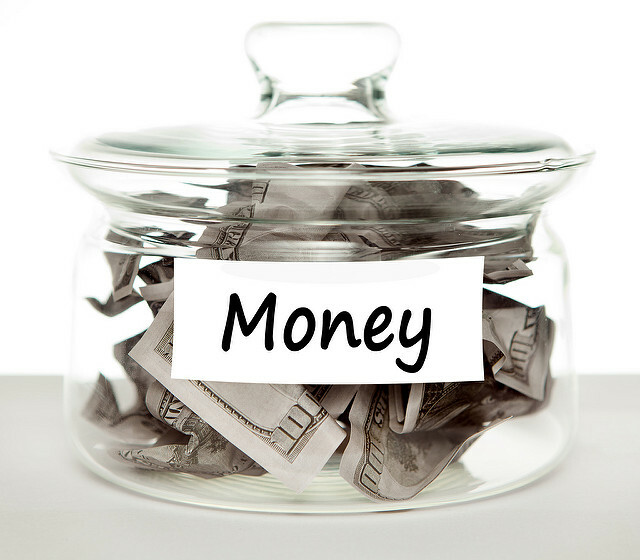 Recently, while reading Your Money or Your Life, by Vicki Robin and Joe Dominguez, I was reminded that you can’t change money behaviours that you can’t see. A confession: I’ve never been a fan of the painstaking exercise of tracking my money moves on spreadsheets and ledgers. That, to me, is about as fun as eating cooked spinach, and I’d rather be writing, anyway. Oh, I will do it, but with an awful lot of caterwauling. Robin and Dominguez include several record-keeping charts in their 9-step program, and if you like creating spreadsheets, you’ll find these to be useful. But, there must be an easier way to keep track of the incoming and outgoing without manually entering data into a spreadsheet. And wouldn’t you know it? There is. I use use two money-tracking apps: Wave for business income and expenses, and Mint for everything else. Both apps list financial transactions in one handy location, saving you from dreaded manual entry methods. They use algorithms to “guess” if a transaction is an income or expense, and assign, often accurately, a descriptive label, or "category" to each transaction. What's left for me to do? Check that each category has been correctly assigned, which is fine because it keeps my eyes on my expenses, and fun because it only takes a minute or two. From there, I can generate instant reports, complete with coloured charts and graphs that help me to see my financial picture. In Wave, I can print an income and expenses report that’s useful at tax time, and in Mint, I can earmark transactions (such as bank interest deposits) that I'll need to report on at tax time. I can also compare my income and expenses from previous months to discover patterns that need adjusting. For example, in Mint, I discovered what my three biggest spending categories were. When I signed up for a money-back credit card that issued decent money-back rewards for three spending categories, I immediately knew which categories to choose. Both apps are free, computer and phone-friendly, and setting them up is easy. You’ll need to connect the apps to any bank accounts, PayPal accounts, and credit cards that you use. 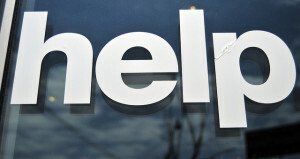 Mint is owned by Intuit, the creators of the popular online tax software TurboTax. Wave is Canadian-owned and follows Canadian privacy laws (which are pretty strict). To accept read-only information from bank accounts, these apps need to be PCI-compliant, and adhere to the gold-standard security measures required by banks. You cannot access your money in any way with these apps. They’re mirror accounts that show you your financial status. They won’t give you, or anyone else, the ability to touch your money. As with any cloud-based software, it’s an excellent idea to create strong passwords that you can change frequently. Using a Password manager, such as LastPass, will help you do that without tearing your hair out. Since using these apps, I have an up-to-the-minute understanding of my income and expenses, without the drudgery of collecting this information manually. And because I prefer to spend my time with words instead of numbers, that’s money in the bank. Note: if you’re a Canadian, sign up for the Canadian version of Mint to get the benefit of Canadian privacy laws. Writing takes a great deal of energy, focus, and time. Add to that the necessary revising and editing tasks required to polish your writing and writing is now a part-time job. Or a full-time job. 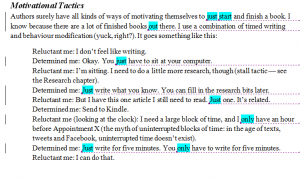 What if I told you that you could automate some writing and editing tasks? Recently, my editing colleague Paul Beverley created a macro that accomplished in five minutes what would take me half a day to do manually. In fact, Paul Beverley has created over 500 macros, many of which have made editing tasks, in particular, easier to manage. 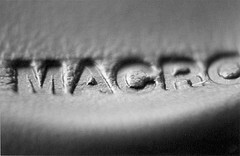 You can download his free book of macros — Macros for Editors — at Archive Publications. 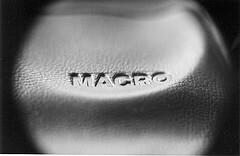 And, if you’ve never used a macro before, you can learn how in this free 20-minute macro course. Identify instances of telling, where showing might work better (TellingWords macro). In Making Word 2010 Work for You, Hillary Powers points out that if you repeat an editing action three times, you might want to find a way to automate it. Wise advice. 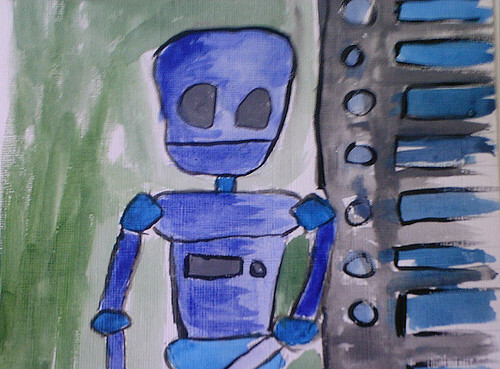 What writing or editing tasks would you like to automate? What tools are you using?